The tower. 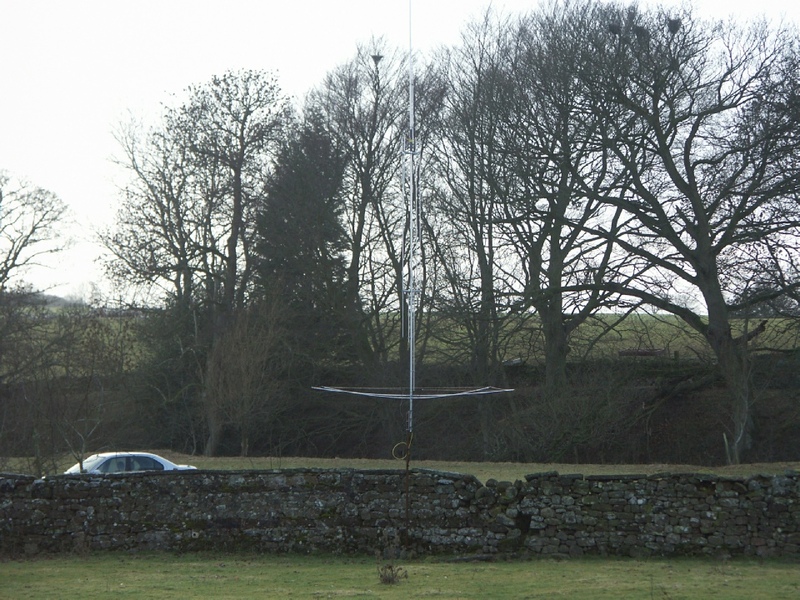 Tonna 23cms and 70cms Yagis, homebrew 2m and 4/6m yagis. 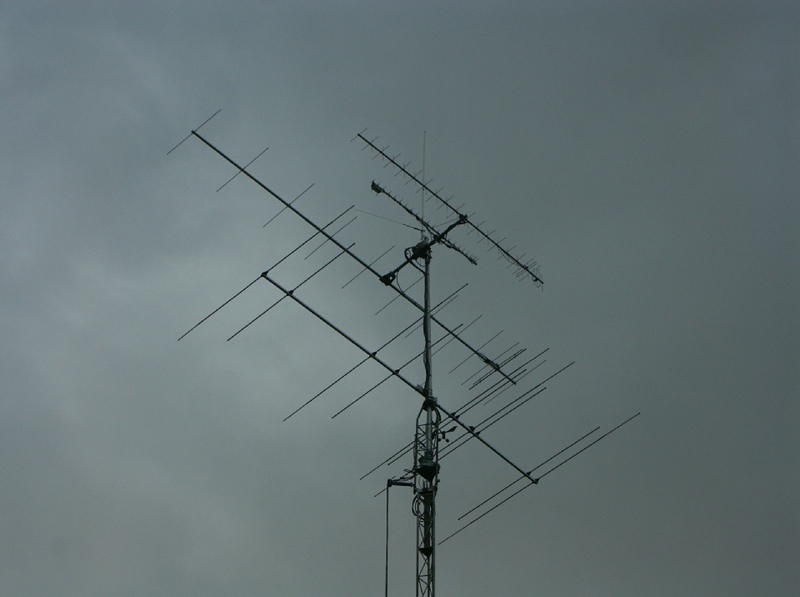 On the top is a GP15 in this photograph but it has been replaced with a homebrew QFH for NOAA APT satellite reception. 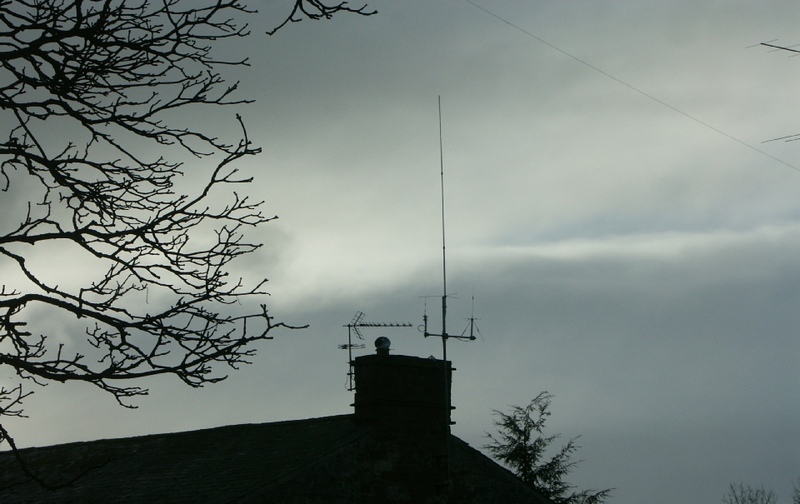 On the chimney just above the shack are a Comet GP9 2m/70cm collinear a discone and an SBS aerial. The TV aerial is a little shorter now as a result of old age and strong winds! A Gap Titan DX used for the bands that my 160m loop will not tune to.